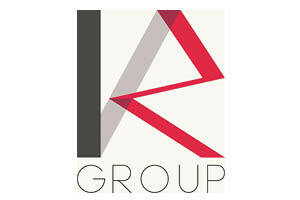 KR Group is fast-growing accounting and tax advisory group with a regional reach. With its head-office in Poland and through its own regional offices KR Group is present in the key countries of the CEE region i.e. Poland, Romania the Czech Republic and Hungary. Since 2000 KR Group has built a considerable position on the highly competitive market of accounting, tax, audit, payroll and HR services. At present, KR Group has over 152 full-time experts of various levels hired across the CEE region. Managerial staff has gained experience in the major accounting and consulting firms. KR Group applies an excellent understanding of business realities to its core services, thus attracting the most renowned companies in its portfolio of clients. Currently KR Group provides services for more than 300 clients. Most of them are subsidiaries of large/medium international groups from all over the world. KR Group’s clients represent a wide array of industries, such as real estate, retail, manufacturing, investment funds, IT, renewable and conventional energy, automotive, FMCG. Providing the best quality of service, readiness to take on demanding work at short notice combined with strong ethical code and business-minded approach are the bedrock of KR Group activities.